More exciting This Is Us news is coming your way, and this time, it involves Beth Pearson. On Thursday, it was confirmed that This Is Us has cast Beth Pearson’s dad for a special Beth-focused episode in season three. The episode is already highly anticipated thanks to the previous announcement that beloved TV veteran Phylicia Rashad would play Beth’s mom. Now, the excitement is just multiplying as fans get even more Beth-related news. As reported by Entertainment Weekly, it looks like actor Carl Lumbly will play Beth’s dad for one This Is Us episode, which will air on Feb. 19. There’s not too much in the way of a character description, but we do know his name is Abe thanks to a peek at Lumbly’s IMDb. But still, we’re very intrigued to see what kind of dad Abe is to Beth and whether their history helps us unlock even more information about who Beth is as a person. We also know that the episode, titled “Our Little Island Girl,” will focus on a young Beth and her cousin, Zoe, returning to Washington D.C. so they can care for Beth’s injured mother, played by Rashad. Additionally, we know that Goran Višnjić has been cast to play Beth’s teacher, as seen in flashbacks. If Lumbly’s name draws a blank for you, have no fear; you’ve definitely seen him perform in one of many recognizable TV shows. According to his IMDb, Lumbly played Marcus Dixon on Alias and, more recently, as Charles Langston on NCIS: Los Angeles. Additional credits include guest roles on UnREAL, Family Guy, Criminal Minds, Grey’s Anatomy, The West Wing and ER. Seriously, Lumbly’s credentials are no joke, so we are all the more interested to see how he performs when it comes to his time on This Is Us. In a different interview with EW, Susan Kelechi-Watson, who plays Beth, spoke about how important and pivotal “Our Little Island Girl” will be as an episode that gives viewers crucial insight into Beth and how her past has shaped the woman she is today. It will no doubt be interesting to see how this all plays out when the episode airs in a short while. Getting this episode focused on Beth will no doubt be a turning point, not only in understanding Beth, but hopefully better understanding those flash-forwards and helping to predict what awaits us in the final episodes of season three. 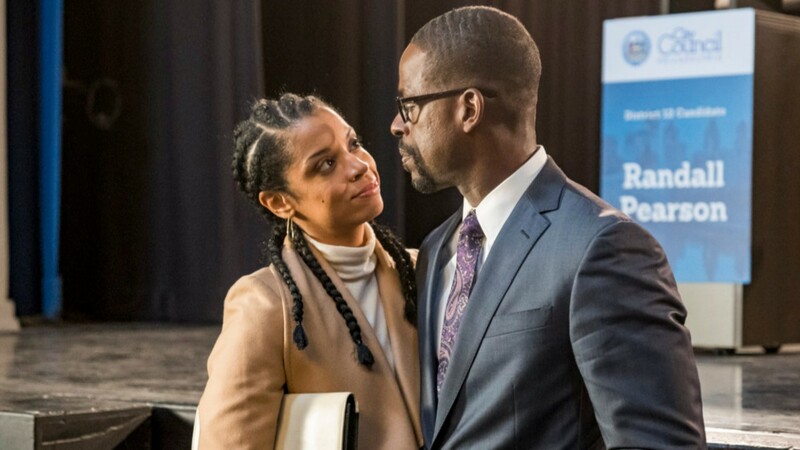 This season has already provided us with some major surprises (a not-so-dead uncle being the most notable), so This Is Us fans will agree; we’re ready for anything this show has to throw our way.